1).Material: 100% Polyester 145gsm,160gsm,190gsm Micro Fiber ; 160gsm ,200gsm Lycra Fabric; 130gsm, 160gsm Tricot Or Cotton Fabric Or Custom Your Fabric. 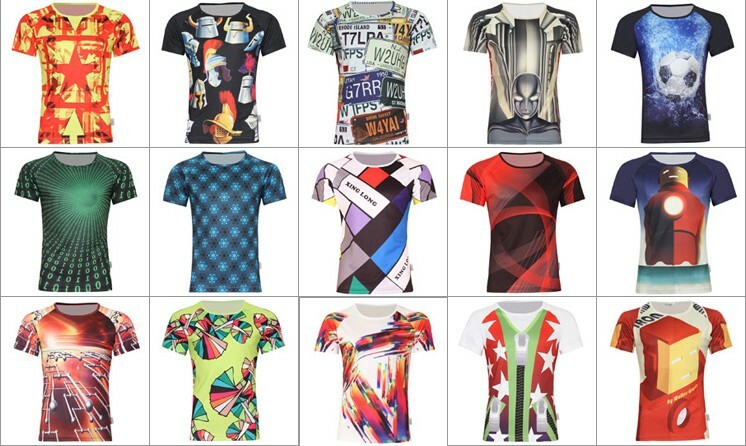 2).Printing: Sublimation Printing (Heat Transfer Printing)--Colorful and Individuation Works better for sports wears on polyester material.--No increase fees!!! 6).MOQ:No limit, free sample the cost will pay back when you place your order. 7).Payment: L/C, T/T, Western Union , Paypal, Escrow, which is convenient to you. 9).Delivery: 1-3 weeks after confirming the design, 10days for a sample order. 11).Feature: The highest quality and the lowest price with the best service. Contact us if you need more details on Tee Shirt. 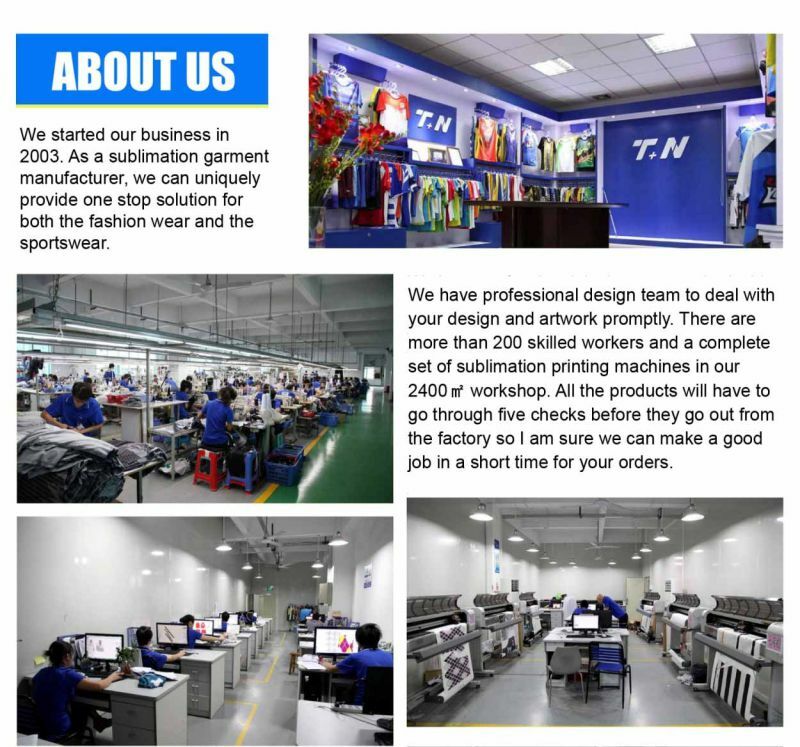 We are ready to answer your questions on packaging, logistics, certification or any other aspects about Customized T-Shirt、T Shirt. If these products fail to match your need, please contact us and we would like to provide relevant information.